The house Matt bought (here) was a "flip." That didn't stop us from making a loooong list of little DIY projects...installing floating shelves in the kitchen, painting the fireplace and replacing the dated floor tiles, adding additional lighting in the living room, painting the kitchen cabinets, opening up the entry, replacing the master bath tub with a walk in shower...and the list goes on! So I had Matt prioritize...what is important to him and what would his budget allow. The first thing we did before he actually moved in was build floating shelves in his kitchen...I will share that a bit later! 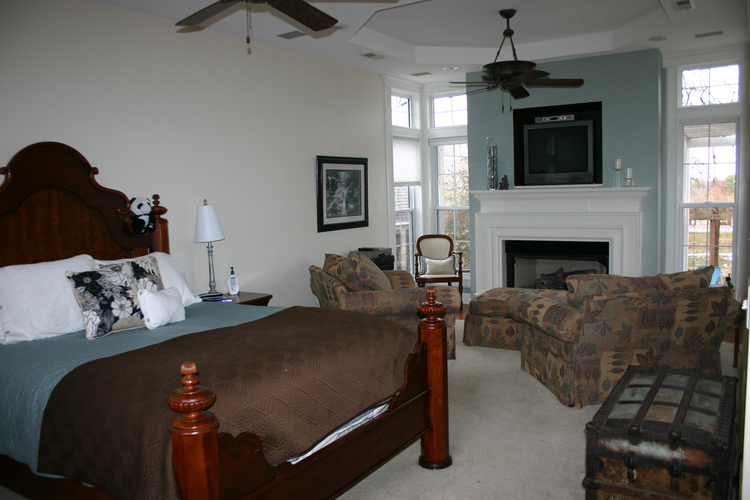 The fireplace was second on the list for several reasons. It was a pretty big eye sore and it was a relatively easy and inexpensive fix. I'm going to give Matt all the credit on this one...he did this ALL on his own. The first thing he did was remove the old brass cover...he could have painted it and reused it but there really was no need. He scrubbed the brick with a metal brush to loosen all the gunk and then he used a shop vac to make sure it was free of any debris! He even scrubbed the inside of the fire box and sprayed it with a flat black heat resistant paint. We don't know how well that will hold up but he has no plans to build a real wood fire. The fireplace is a masonry fireplace but it is 30 years old and the inspector said it had a few cracks in the masonry flue...so for now he will just stick with the little gas vent-free log set. Those little things don't put off a tremendous amount of heat! On to the painting. First he used oil based Kilz to prime all the brick....two coats. That was a booger....he used a 3/4" nap roller and a large paint brush to get into all the joint lines. Then he painted it all with latex paint. His original plan was to paint the rough cedar mantel but honestly, after the entire fireplace was painted, the mantel added a much-needed touch of warmth. The dated 8x8 tile will eventually be replaced with travertine tile but for now this simple little project made a HUGE impact in this room! When he first moved in I had collected a bunch of "stuff" to decorate his walls and mantel...Sarah and I even put together a little gallery wall of "stuff" in his breakfast nook. He immediately nixed it...no "random stuff!" At first I was a bit hurt that he didn't seem to appreciate our efforts to create a homey look with all the "stuff" we had spent weeks hunting and gathering. Then I understood...he is just like me...he doesn't want "stuff" for the sake of having it...he wants to decorate with things that have meaning...things that have purpose. Like me, he would rather live with bare walls and an empty mantel until he finds something that has a real value...things that make him happy. ...we decided to take out the "surround sound system." When I built this room 16 years ago, I installed surround sound and we had a whole sound system set up and wired through the walls. Truth be told, we haven't used the surround sound system in YEARS...so there was no need to have the hulking components taking up real estate. It was just something to dust. As pretty as the little MCM table was that held the sound system components, it really didn't work in the space. But that left one small problem. Brian didn't have anything to set his computer or drinks on. Every guy should have a place to put his "stuff" next to his recliner...right? Most of the side tables in my house are square or rectangular. And that just wasn't going to work in the space next to his chair. She bought the little pedestal at a garage sale and attached a round craft board for the top. She hadn't gotten around to painting it and that was just fine with me! Again, "not my style" but it was the perfect size for the space. So I brought it home, stained and sealed the top and painted the base the same color as the accent wall. I painted it with chalk paint and considered "distressing" it a bit...and I may do that at some point. Right now it serves it's intended purpose. So now this room is done...right? Last weekend we went shopping for a king size bed. I have NEVER had a king size bed...but sleeping with a huge dog and two cold kitties was beginning to take a toll on my back and sanity. So we bought a king size mattress and box springs. That set off a frantic search for all new sheets and blankets and a bed frame that will support and conceal the box springs...it all had to keep my bedding simple and easy to make and fit into vision I have for this room. First, I hate shopping. It is just not my thing. Second, I'm "old school"...mattresses go on box springs, not platforms, which seems to be the "in" thing right now. That and REALLY tall head boards, which I don't like, or fabric covered headboards that will NOT work in a house full of critters. Third, box springs aren't suppose to show. And lastly, I'm lazy...the only way you can make a "platform" bed look decent is if you tuck all the blankets in on all sides. That breaks my "make the bed in 30 seconds" rule and we all know what would happen if I didn't make the bed every morning! I did it. I bought new sheets and a mattress pad. I ordered a new down comforter and quilt online. I ordered a bed frame I THINK I will like...when it arrives in 1-4 weeks. 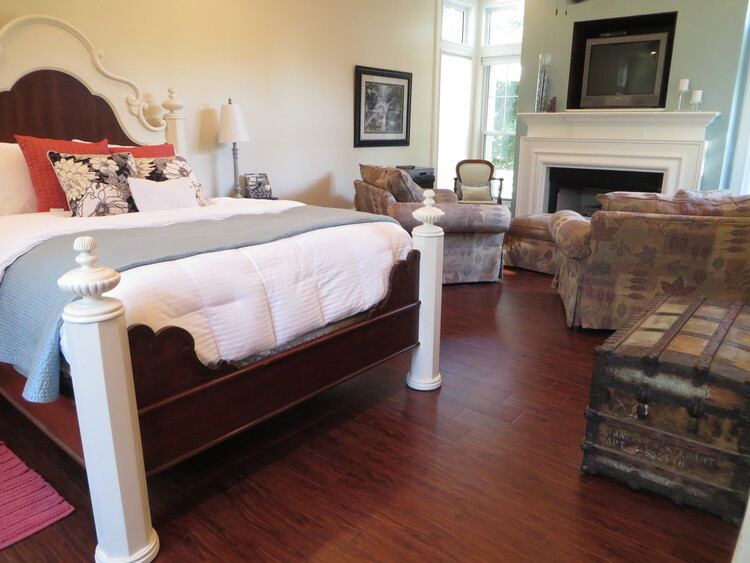 So when it all arrives and is put together, I will do ANOTHER reveal on the master bedroom. And that should be the FINAL reveal.... until I change out the paddle fans or buy the new lamps I've been eyeing, or finally find the perfect piece of art for the big blank walls. It's only taken me 16 years to get this far...no hurry! Cheap and/or free are always my favorite way to add a little seasonal warmth to my home! I shop sales, clearances, auctions, yard sales...it is always fun to find inexpensive little "treasures" I can use to decorate a space or add a touch of warmth or whimsy. Last Friday I actually did something I really hate. I shopped "retail stores." I was specifically looking for cotton stems or cotton wreaths. Evidently decorating with cotton is all the rage this fall and I wanted some...but evidently that is another "fad" that hasn't hit our area because after hitting every home decor store in the area I came home empty handed. My neighbor Tammy dropped by this week...she had visited her daughter in south Arkansas and brought home some REAL cotton stems from their farm. Tammy to the rescue!!!! I couldn't believe she had a pile of cotton stems in her garage just sitting there for the "pickin!" LOVE! I literally just snipped off the root ends and stuck them in a little vase. I probably should find a bigger vase, but I love how these REAL cotton stems fill this space! Last year I feature some awesome little "coffins." Sounds morbid I know, but as I explained, they are actually the lids to antique sewing machines...and I absolutely love them! I used a couple for storing photo albums but I had one that was just sitting in the den. My other neighbors, Kenny and Maryann, have these really cool trees in their backyard...they kind of look like Aspens and the bark is "whiter" than normal tree bark. I have no idea what they are but I used the branches in my little seasonal box I shared here. I decided to cut a few more of their branches and use those in this little coffin in front of the fireplace. Outdoors...an old galvanized bucket dressed for the season! Just drop a potted mum in it (no need to get your hands dirty! )....or if you don't want to spend the money on a mum, fill it with berry stems, pine cones and pine branches! Again, super simple! My point? Adding seasonal touches to our home decor doesn't have to cost much, if anything. Just look to nature (and your neighbors!) We do it in the spring and summer when we bring in cut flowers. Fall gives us just as many ways to bring nature into our homes! Green "horse apples," red berry bush stems, pine tree branches, tree limbs with colorful fall leaves...all ways to bring nature into your space. You can stick them in wood bowls or galvanized buckets or cheap vases or old wooden boxes. Some of the prettiest seasonal decorations are free! Decorating with the traditional colors of fall! The week before Brian and I left for our annual vacation to Colorado, I spent several days cruising the blogosphere and enjoying all the beautifully decorated homes on the "Fall Tour." I noticed many are now decorating with more "whites and blues" and neutrals for the season....blue and white pumpkins, vintage containers, natural elements, muted greenery. I think it is all beautiful but as I decorated my home for the season I realized that all my fall decor are the bright and bold colors of traditional fall foliage....reds, oranges, yellows, browns and deep greens. And as I have mentioned before, when I am done, it looks like fall has puked in my house. I LOVE this time of the year and every time I stroll through the isles of department stores, craft stores or a flea market I find more fall "stuff" I just can't resist. I neglected to take pictures of the southern view at Mesa Verde so I stole this picture from Thomas Mangan...he has some breath-taking photos....the colors are AMAZING and a pretty representation of the southern slope of Mesa Verde! ....Colorado...the vivid yellows and orange of the Aspens, the deep reds of the mountain sides and red oak foliage, the vibrant greens of the pines. ...snow capped mountains reflecting in the crystal blue waters of a mountain top lake! ...white snow filled clouds creeping over a mountain pass. All beautiful...all colors found in nature! For me, I am still in love with the vibrant colors of fall that are so prevalent here in the Ozarks...the yellows, orange, reds and deep greens. I have shared my "fall home" before, but I thought I would share again this year...nothing much changes from year to year and that is just fine with me! Notice the "Colorado red" flagstone...yes, that is native Colorado stone and yes, there are rivers and mountains that color! These little lanterns are "multi-seasonal." I can easily change them up for fall, Christmas and even spring/summer! 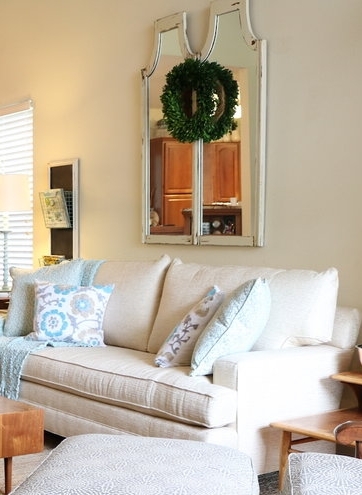 Every holiday I hang a "seasonal" wreath on the big mirror in the living room! I now have one for fall, Christmas, Valentine's and the 4th! Still love my black doors! In the fall I hang simple "candle wreaths" with ribbon to decorate every door and window. I simply change them out for Christmas wreaths after Thanksgiving! Several years ago I hit the 90% clearance at Hobby Lobby and snatched up all the high dollar fall garland...I wrap it in the dining light fixture, lay it on top of the display hutch and in the transoms, and lay it across the fireplace mental! Say hello to Litty...she loves the camera! Years ago I made two "table top" fall wreaths...I use to put hurricane candles in both but I found this awesome little grapevine pumpkin last year. What do you know...I actually do change things up a bit every now and again! For vases and urns, I just bundled a bunch of fall stuff I like together and stick them in the container...simple! This one is a glass vase filled with fall glass beads I picked up for Pier One years ago! Mr. Owl was actually one of those ugly plastic "decoy" owls I picked up at an auction. I painted him off white...again, super simple! 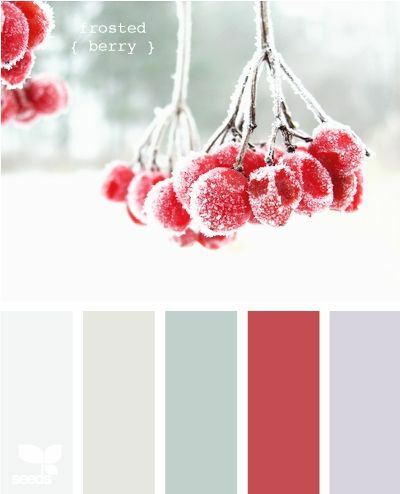 THIS is what I love to decorate with...the traditional colors of fall. I love the blues and whites and neutrals but every year I take a 14 hour trip west to see the vibrant colors of the Colorado Aspens. For some, it is the beach....white sands and blue waters and sky. For me, when I see a grove of shimmering fall Aspens, it fills my heart with pure joy! When I stand on a mountain top at Mesa Verde and look down at the red, orange and yellow foliage on a mountain side, I feel at peace. So for now, I will continue to decorate with the colors I love. Maybe some day I will transition to the "in" colors, but this year, I am at peace in my home surrounded with the vivid colors of a traditional fall! And that, my friends, is what decorating a home is all about!